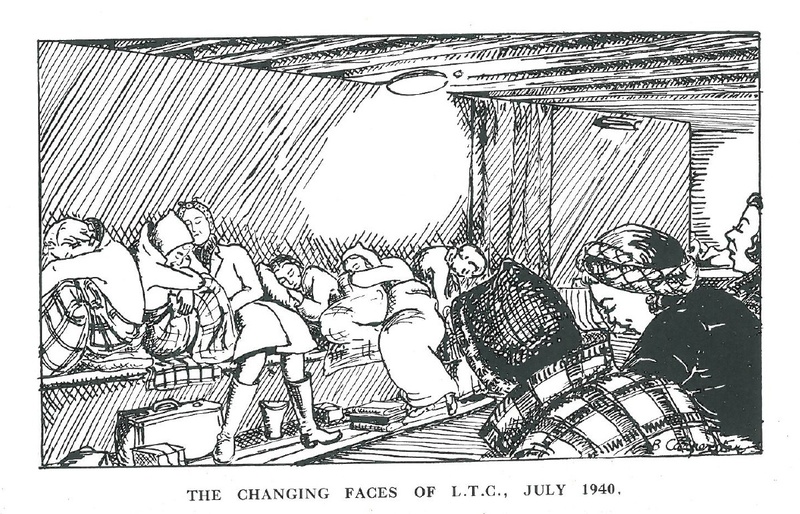 Two cartoons, drawn in 1940 and 1941 during the height of the Blitz by former Bishop Grosseteste University (BGU) student Betty Carpenter, are set to feature in the ‘Home Fronts’ gallery at Lincoln’s new International Bomber Command Centre (IBCC). Due to open to the public Saturday 27 January, the centre will serve as a place for the recognition and remembrance of Bomber Command. Providing the most comprehensive record of the Command in the world, the IBCC ensures that generations to come can learn of their vital role in protecting the freedom we enjoy today. 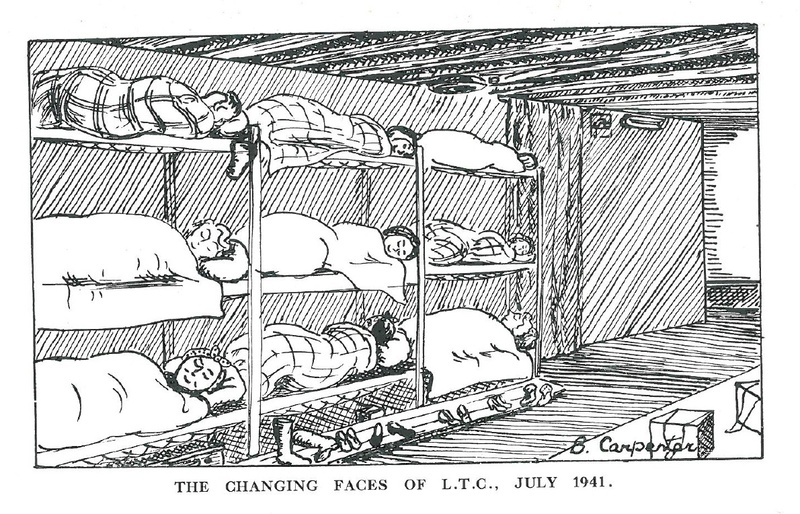 Joining the IBCC’s unique records, Betty’s two drawings show improvements made to the air raid shelters underneath BGU’s (then Lincoln Training College) Constance Stewart Hall between July 1940 and July 1941. Originally published in the college magazine at the time (copies of which continue to be held in the Library Archive at BGU) they were brought to the attention of the IBCC by Dr. Claire Hubbard-Hall, senior lecturer in History at BGU, who felt their level of detail and historical significance made them more then deserving of a home in the new memorial. In order to gain permission for the images to be displayed Betty’s descendants were traced and contacted, and were pleased to agree to Betty’s work being used in this way. In addition to going out on display to visitors at the IBCC the images will also be permanently preserved in the IBCC Digital Archive. Betty, who was from Cudworth near Barnsley, was born in 1921 and was a student at BGU between 1939 and 1941. One of the subjects she took whilst studying was Advanced Drawing, which (unsurprisingly) she passed with distinction in her Final Certificate Examination in 1941. She married Harry Bell (a Sergeant in the Royal Air Force Volunteer Reserve) in August 1942 but sadly was widowed just four months later at the age of 21, when Harry was killed during a training exercise near Kinloss. She married again, after the War, and died in 2000, aged 78. Although the IBCC is not officially opening until Saturday, you can get a sneak peek at Betty’s unique drawings both in their original format in our archives or on our heritage boards which you can find on our campus outside Constance Stewart Hall.